If you decide to go off-grid, you will have to search for a toilet for your tiny house. The good news is that there are lots of tiny house toilets to select from. And just like normal toilets, tiny toilets vary from one type and brand to another. So, how to find the best flushing toilet for small houses?. We’ve created a list of some of the best tiny toilet options to consider. Before buying a tiny house toilet of your choice, you should consider how comfortable it is, its size, price, ease of maintenance, and whether it meets your needs or not. At the start, using a tiny toilet may be challenging, but when you get used to it as I have become, you’ll find that handling human waste is not a big deal. The toilets that we’re going to discuss will offer you with different options and you can select a toilet that you feel meets your needs and budget. Size – the size of the toilet you select is very vital because there is limited space. A compact and portable toilet is a good choice. A big toilet will take up much space and be challenging to install. Ease of use – tiny toilets have no connections to the sewerage system where waste is disposed. This means you will have to do a lot of cleaning and maintenance. 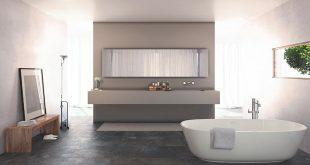 Getting a toilet that is easy to clean after use is important. Maintenance – be ready to spend time and money to maintain your portable toilet. The simpler the toilet is, the more you’ll have to look after it and ensure that it is in good shape. Price – look for a toilet that is within your budget. Composting toilets are the best and are offered at a great price. Incinerating toilets are efficient, but very costly. Industry standards – the toilet that you acquire should meet industry standards so that different people can have an ample time using it. In some areas, these toilets are known as camp toilets. They are very portable and easy to use. The toilet comes with a large storage tank where solids and liquids are stored. When full, it can be easily emptied into any toilet without any problem. These toilets are common in outdoor concerts, fairs, or in construction sites. RV’s are amazing tiny toilets for tiny houses. They are very portable and easy to use. The toilets use a very little amount of water and have a storage tank where waste is kept. Also, it has a tank that generates black water and it has to be emptied or connected to a sewer system when full. So, if you want to have the same experience such as that of a normal toilet, then an RV toilet is the best solution for your tiny house. This is another great option for waterless toilets. The dry toilet doesn’t use water and thus it is very easy to install and use. It doesn’t need any sewerage connection or plumbing. On top of that, the toilet resembles a standard toilet, but it is very portable and lightweight. The toilet functions using an electric motor that functions inside of a small bucket below the toilet seat. Every time you flush the toilet, the motor turns the bucket, which in turn twists the silver liner inside of the toilet bowl. The solid and liquid waste is kept in sealed bags which are later disposed of. Incinerator toilets are ideal for people who are afraid of emptying waste, but instead, they empty ashes. These toilets normally use propane or electricity. They don’t need any plumbing and are very easy to use. In addition, incinerating toilets use a lot of electricity to turn waste into ashes. After incinerating the waste, the user is required to empty the bowl once or twice every week, depending on the usage. Even with outstanding features, the incinerator costs a lot and it can become smelly if not well maintained. Composting toilets are high-tech toilets that don’t use water, but depend on the separation of liquid from solids and the continuous air flow to form a low-odor toilet experience. The toilets are portable and easy to maintain. The only challenge is that you have to install it and connect to plumbing. You won’t need water and in most cases, they’re odorless. NB: You can make your own composting toilet using a bucket and a toilet seat (purchased separately). Some of the best composting toilets are Nature’s head, Air-head, and Sun-mar. This is the latest tiny or off-grid toilet on the market. At the moment, there are no reviews for this toilet and all the info was acquired from the manufacturer. The toilet features include odorless, chemical free, eco-friendly, large capacity, needs minimum maintenance, easy to install, kills dangerous bacteria, and works well in cold climates. From this description, it is evident that this toilet is of a high-quality and great in performance. But it is also costly. 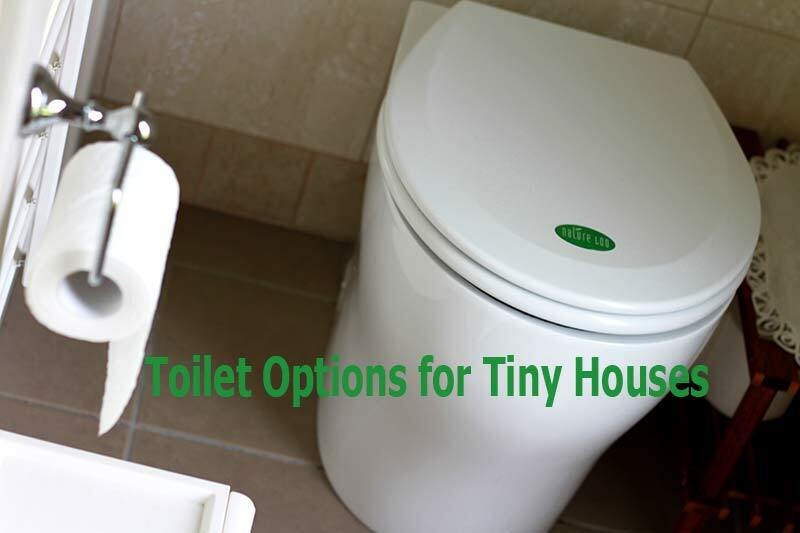 Whatever toilet that you select for your tiny house, you should ensure that it is portable, easy to clean, easy to maintain, comfortable, and it should be within your budget. Moreover, you should be in a position to control the smell and dispose of the waste efficiently. After all, it’s about your comfort, demands, and kind of lifestyle. Although, You can take more design idea from here. Most of the toilets on this list are a great fit as long as they meet your needs and fit the environment you are in. So, choose wisely. What features should I look for in a tiny house toilet? A good tiny toilet for your tiny house should be portable, easy to install, lightweight, small, and easy to get rid of the waste after use. Also, you should consider getting a tiny toilet that doesn’t produce a bad smell as it will make the surroundings to be uncomfortable. Other features include few movable parts and it should be easy to clean. Which is the best toilet for tiny homes? Composting toilets are by far the best toilets for small or tiny homes. This is because they are very easy to install and dispose of waste. In addition, these toilets are cost-effective and they don’t need to be connected to a sewerage line. The only challenge is that the maintenance cost is a little bit higher when compared to other types of toilets. A composting toilet is one of the best choices for tiny house toilets. If well maintained, these toilets will not produce a bad smell. But it also depends on the type of composting toilet. Is it a DIYer composting toilet with a bucket or a quality toilet with a built-in system? If it has a built-in system, be sure that it has a fun and little to no smell will be detected. But for bucket type toilet, you will have to thoroughly clean it and maintain it well to prevent detecting a bad smell. Previous Why Is It Best To Opt To Approach Brokers To Get A Quick House Loan? Next Why Opt For A Professional Roofing Company?